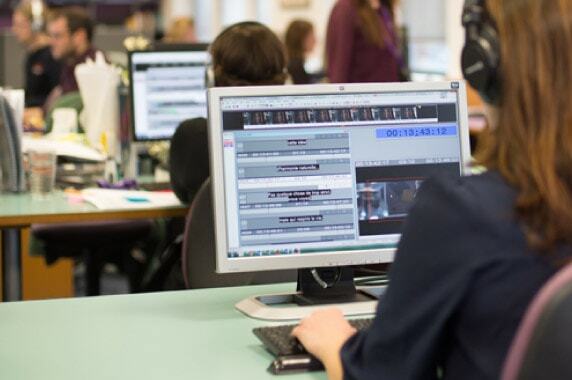 There are a number of reasons why you’d need video subtitling services. Do you wish to market your promotional videos? Are you producing a short film for global audience? Is your program airing internationally? Or maybe you want to communicate with people who have hearing impairment? We cover it all for you. Subtitling helps people understand and engage with videos. The textual appearance of speech/dialogues on screen with the video playing in the background, helps people with language and even hearing difficulties. You can also save money from dubbing by incorporating multilingual subtitles in your videos through subtitling services. You can get literal translation in any language but our subtitling services offer more than just that. Our translators understand that the job is not just to translate but also to ‘localize’ it. Localizing video subtitles requires fluency in the appropriate dialects and use of culturally relevant idioms. Our language subtitling team consists of a larger number of competent translators who are native speakers and fluent in many languages. We understand the subtle differences in languages and can take care of mental fillers. We maintain the highest quality in our video subtitling services; all translations are reviewed by two senior translators. 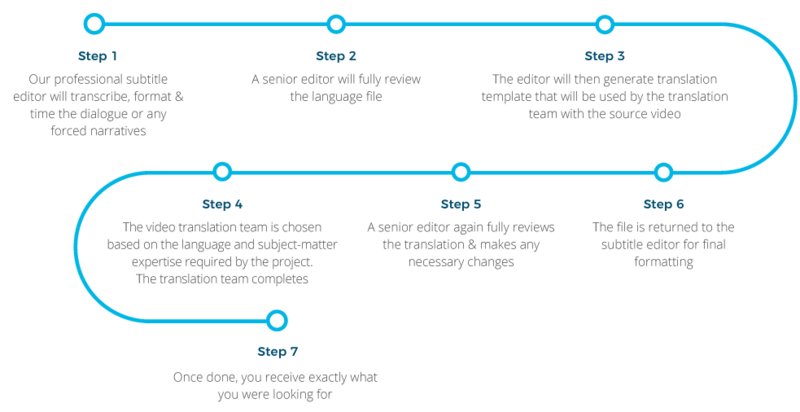 Our language subtitling process is simple. Here are the steps we follow.